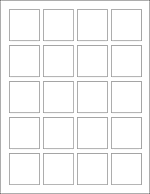 Print comic strip templates and choose from 34 comic layouts that vary from equally sized panels with up to 20 panels to varied sized panels. The files are created by Donna Young of donnayoung.org, home to thousands of high quality printable files. Books: Expressions and action in comic strips are represented or implied with lines and shapes. The budding cartoonist should learn how to create action and expression with lines and shapes and to practice these skills several times a week. Comic drawing books might offer a guide for making expressive lines and shapes and there are many comic drawing books to choose from. 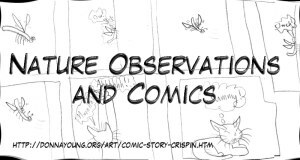 One that we found especially good is "Making Comics: Storytelling Secrets of Comics, Manga and Graphic Novels". If you would rather use curriculum, Alpha Omega Press has at least four units [ 1, 3, 4, & 7 ] that teach some elements of cartooning. If you purchased only one, get Unit 7 Comics. 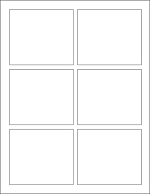 Below is a printable with many blank circles on which a child can practice drawing facial expressions. 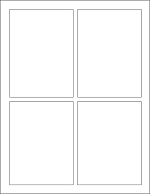 Typically the cartoonist will draw his own panels as needed, but for the budding cartoonist, some pre-drawn cartoon templates might be just the thing he needs to get started. The printable comic panel pages in this group feature 1/4 inch gutters with equally sized panels. The outside margins should be around 1/2 inch but your printed results could be a little different. Under the open top is an arched panel. The arched panel is either full width or divided and can be used as normal panels or to continue a dramatic effect that might have been started in the open top. 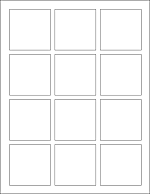 The panels on the "Arch Top" comic strip templates vary. 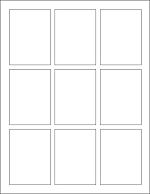 These comic panels print with thin black lines and with a narrow space between the panels. If you need more space between the panels look at my other sets. In this set, the paper may be turned in any direction because there is no true top-side. 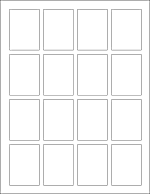 The 2008 set of printable comic panels print with thicker black lines [than set one]. In addition to having heavy lines, there is a decent space between the panels. 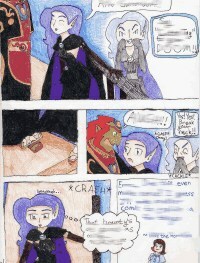 Once could indicate background in this space or write brief story-line captions below the panels. The files on this page may be printed with either a Basic or YoungMinds subscription. File Purchase- The file is yours forever. This is best for the files that you intend to use over and over. Animals of the World is a printable 1/4 sized booklet that has 4 pages for each continent. For each continent, the student should list a few animals on the continent's list page, and at some point, draw at least 3 of the animals. I drew this for my children years ago and handed it to them. I challenged them to color it based on certain guidelines. I can't remember what I said to them now, it was so long ago. To show them, I colored one and mine is the one pictured. When they were finished, it was obvious to me that they needed further study in this field or they were too young for the assignment. At the time they were 7 and 10. 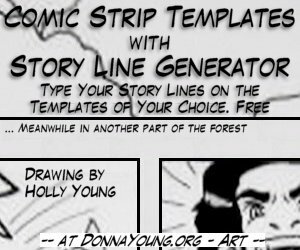 Type in a few lines on the comic templates.